Calling all activewear designers, this is the fabric for you! Here we have a shimmering, kelly green fabric made from nylon and spandex. This type of material is excessively stretchy in two directions, is of a medium weight, and, for the most part, retains it's shape. Uses for this type of material include leggings, spankies, sports bras, leotards, bathing suits, etc. You will often see this material used by cheerleaders, gymnasts, and swimmers. 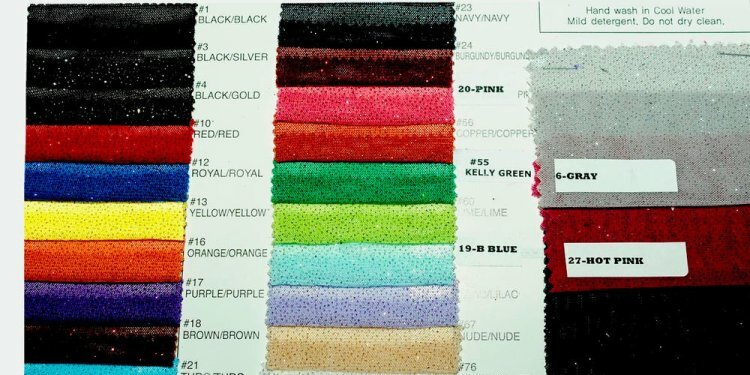 This specific material comes in a wide variety of colors. HOW TO CARE FOR NYLON FABRICS: Most items made from nylon can be machined washed and tumbled dried at low temperatures. To minimize static electricity use a dryer sheet when machine drying. If ironing is needed, iron on a low temperature.Mood strongly recommends test-laundering a swatch, if you plan to wash your garment or home furnishings yourself.